If you're planning a trip to the outback it's worth checking the road conditions that you can expect to encounter before you go. 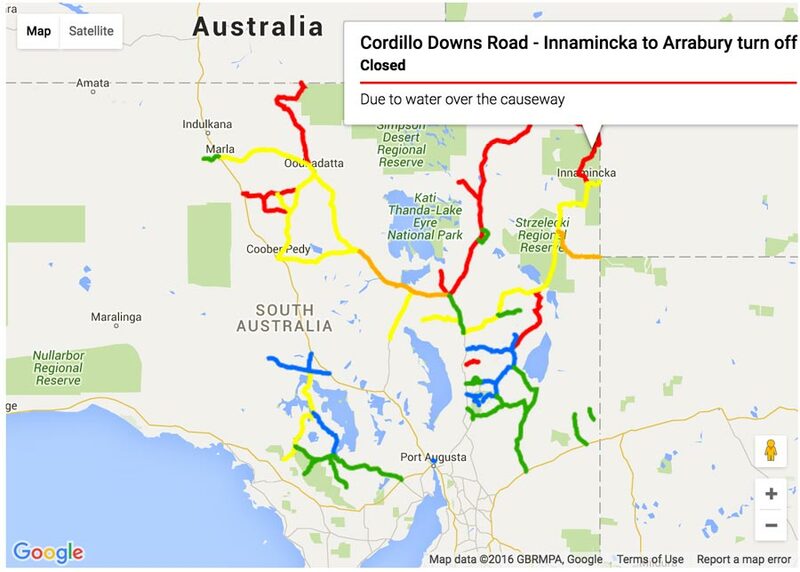 Especially when many outback roads are closed following big rains. To make it easier for you to plan your trips I've complied a list of each states road condition websites. In an ideal world, all of this information would be compiled into one interactive map but with each state and territory being responsible for their own roads, we have a fairly long list of websites to visit. So here they all are, including the National Parks websites as well. South Australia has a large network of unsealed outback roads and consequently the DPTI (Department of Planning, Transport & Infrastructure) has a web page with up to date information about all of South Australia’s outback roads. The site uses colour coding on the a Google map so you can see at a glance the current situation with the roads you are interested in and you can drill down for more detailed information. 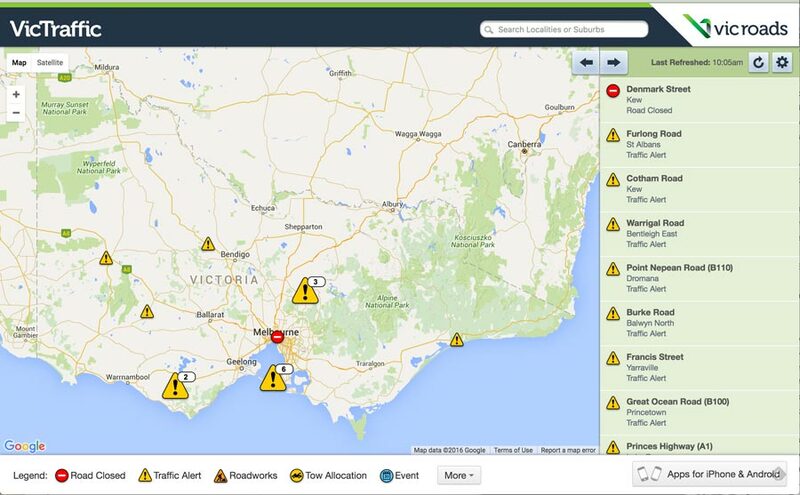 Vicroads has an excellent system called VicTraffic which uses an interactive Google Map. Symbols denote different types of incidents and hovering over them with your mouse will quickly show what the issue is. There is also a list on the right side of the screen of all incidents and clicking on any of them will show you where and what the issue is on the map. 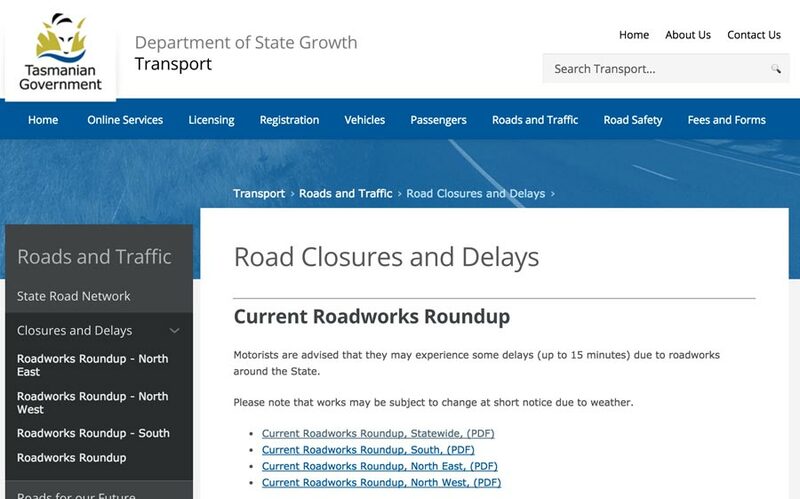 Tassie’s roads are managed by the 'Department of State Growth - Transport' and their website has details of roadworks and other issues which could cause delays. There are downloadable PDF files on the page that list all issues in the four corners of the state. While most of the roads in Tassie are sealed, they are still subject to roadworks and wild weather and snow can cause unexpected issues so it is worth checking the site for the latest info on the roads you’re planning to drive. 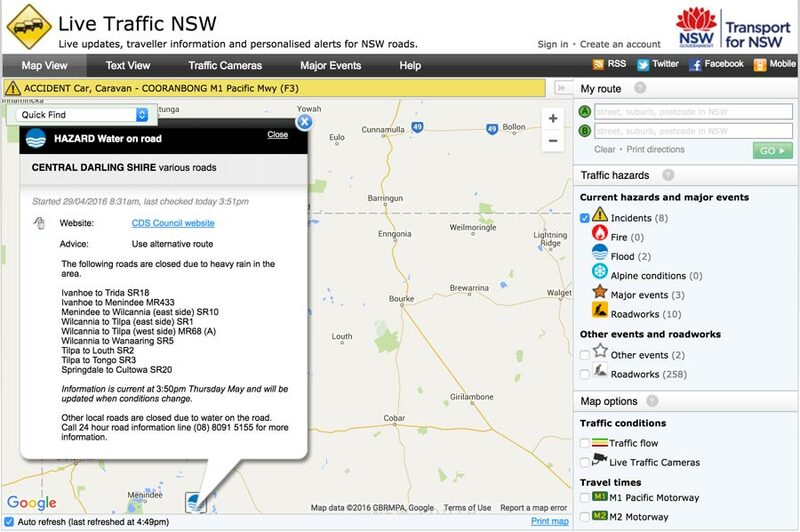 New South Wales has a system called ‘Live Traffic NSW’ for showing up to date information about road conditions that uses an interactive Google Map, similar to Victoria’s VicTraffic system. The interactive menu on the right of the page enables you to toggle on and off the various types of Traffic Hazards that you’re interested in for the route you’re intending to follow. NSW National Parks and Wildlife Service has an Alert system on their website that provides up to date information about incidents like fires, floods and park closures. 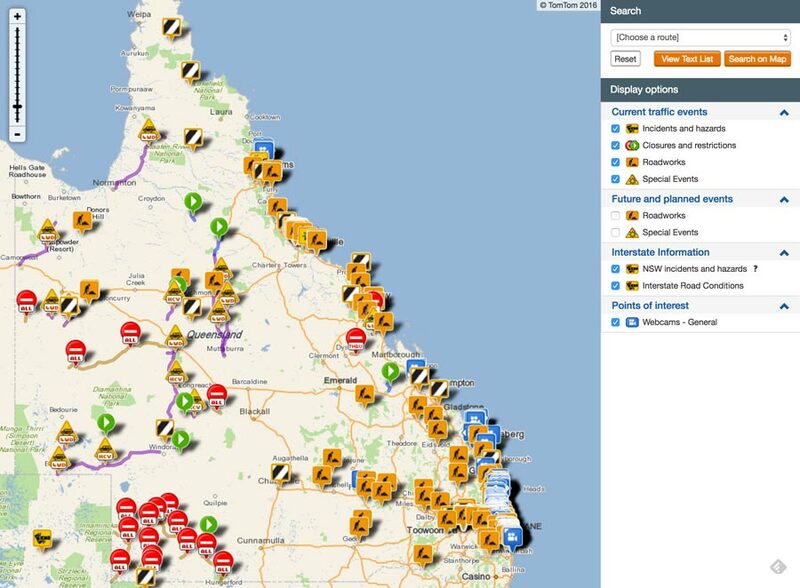 The Queensland Department of Transport & Main Roads has a live interactive map showing road conditions across Queensland. 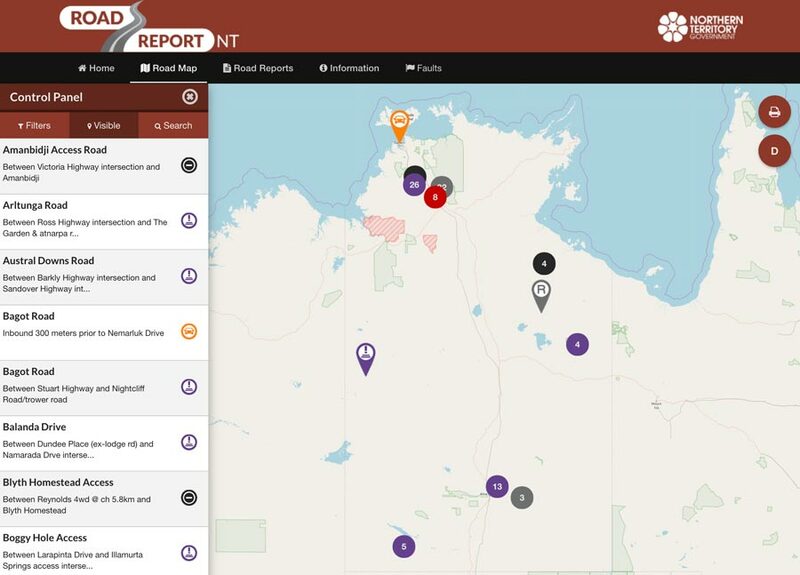 Here you will find links to all of the other sites that have information including NT Government managed roads and National Parks. You’ll also see in the menu on the left side of the page there are links to more detailed information about specific roads and regions. 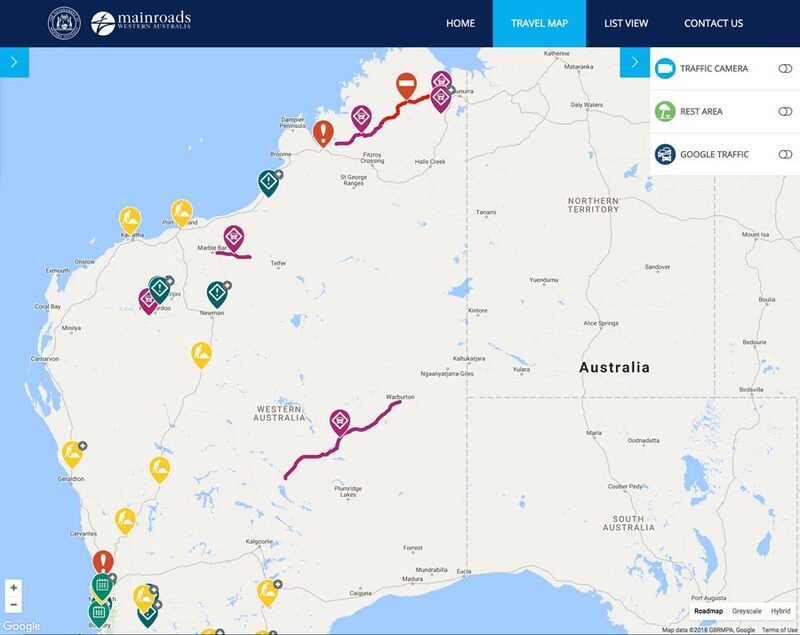 Mainroads WA has an interactive map built on Google Maps with symbols you can click on the find out more specific local information which covers all of Western Australia. 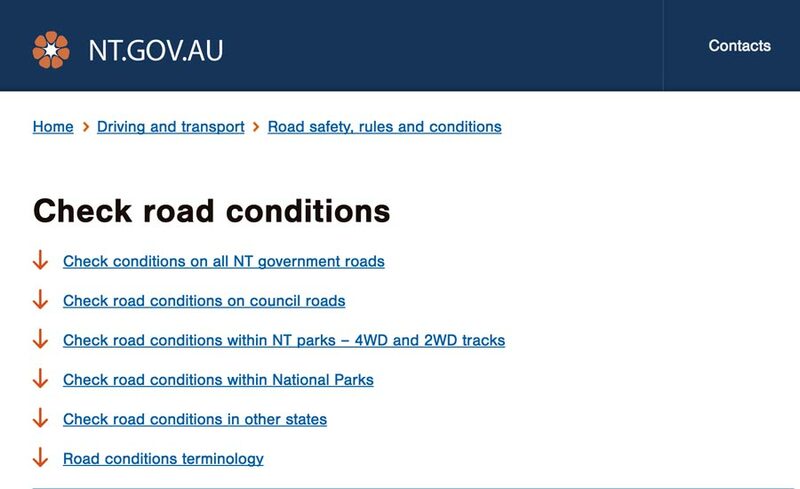 On the left side of the page you’ll see a menu with all of the regions of the state and clicking on any of these will open up a page with specific information about the road conditions in that region. 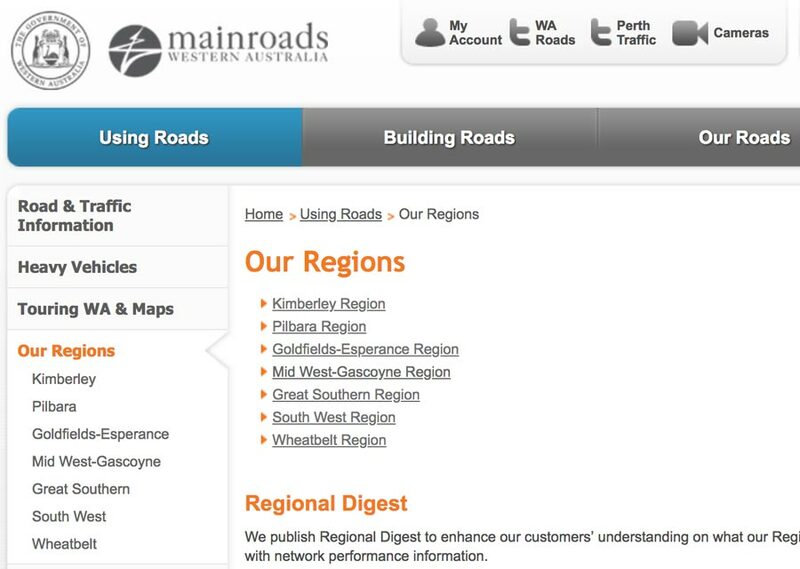 You can then drill down further to find more local road information on local government websites within each region. (Note that the southern end of the Tanami Road is in the Northern Territory so you will need to visit their site for information if you are planning to drive the full road). This entry was posted in Big Lappers, Trip Preparation. Bookmark the permalink. It would be great if all other states and territories copied SA idea. SA makes it so easy. I have found NSW to the worst as Live Traffic seems to concentrate mainly on cities &towns. I go to the shire road reports for western NSW. Thanks Monique, I've added this in now. Just wondering if these also update whether roads have become sealed when other sources may still report them as unsealed? Fantastic to get all the road condition reports all together. I shall definitely be using these this winter. Thank you.